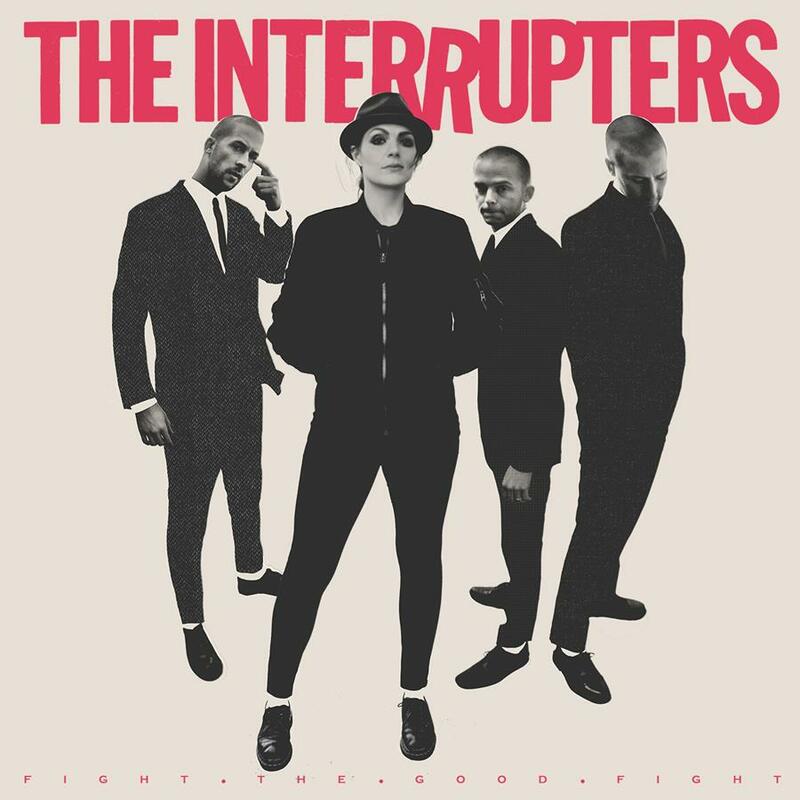 The Interrupters new album Fight the Good Fight is out today and available today at indie retail stores and digital streaming services. The Los Angeles-based band’s single “She’s Kerosene” is currently climbing the Alternative Radio Charts. The song holds rank at #52 on Alternative with adds at stations KROQ Los Angeles, KTCL Denver, KUCD Honolulu, 91X San Diego, KXTE Las Vegas, KRBZ Kansas City, KRAB Bakersfield, WBTZ Burlington, VT, WKZQ Myrtle Beach, Music Choice Alternative, KXNA Fayetteville, AR, KACV Amarillo, TX, KFRR Fresno, WEQX Albany, KYRK Corpus Christi, KJEE Santa Barbara + more. Fight the Good Fight was produced by longtime collaborator, Rancid front man, and Grammy Award-winning producer Tim Armstrong with the band at Ship-Rec Recorders in Los Angeles. The album was mixed by Grammy-award winning mixer Tom Lord-Alge (Blink-182, Fall Out Boy, Weezer). On July 14, the band will join the final run of the Vans Warped Tour this summer in support of Fight the Good Fight. Formed in 2011, The Interrupters came together when the Bivona brothers (guitarist Kevin Bivona, bassist Justin Bivona, drummer Jesse Bivona) found themselves on bills with Aimee during a 2009 tour. With their self-titled debut arriving in 2014, the band soon shared stages with bands like Rancid, Blink-182, and Bad Religion. The Interrupters embarked on a world tour in support of the release, headlining their own shows as well as supporting Green Day in Europe, Australia and South America, solidifying the band’s status as a dynamic force on the stage. Next Next post: SWINGIN’ UTTERS TO RELEASE NEW LP, PEACE AND LOVE, ON FRIDAY, AUGUST 31!